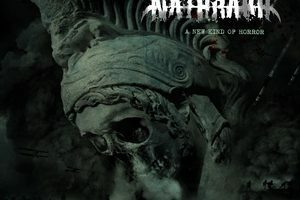 Strange as it may seem to say, it’s been this writer’s impression that Anaal Nathrakh’s albums are growers. The first few listens are mostly bracing for the inevitable explosion of fury and aggression. Once that has seeped into your brain, you can then focus on the shrapnel that has been left in its wake. Not that the initial impact isn’t fun, but it’s the little things that one picks up on with repetition that make their albums shine. Desideratum follows suit in this regard, and may just be one of the band’s finest moments (and finest albums of the year). Anaal Nathrakh’s more or less perfected the art of their grindcore/black/death/industrial mix and it doesn’t take much to acknowledge that it’s them playing. Considering the element of complete chaos in any given track, it’s an impressive feat. One listen to “Ita Mori” or “Sub Species Aeterni” should give the impression the band has not lost a drop of their caustic bite. They’ve also gotten a much better grapple on their industrial elements, with moments of “Monstrum in Animo” and the masterful intro “Acheronta Movebimus” really taking things to the next level while retaining their flare for the dramatic. Speaking of the dramatic, V.I.T.R.I.O.L.’s clean vocals are ever-present and have never sounded better. The chorus of “The Joystream” is the type of thing that you raise your fist to the sky to and sing along. “The One Thing Needful” and “Idol” come close to rivaling this as well, providing a stark contrast from the acidic malice that is spewed through the various screams, rasps, and bellows that penetrate the tracks. The ability to blend some of the most crazed and frenetic riffing and blasting drums with some almost oddly melodic segments is Desideratum’s crowning achievement. The art of blasting drums (even if they are programmed here) atop soaring clean vocals is something we need more of in metal (sure others do it but not amid this much chaos). Then when the tremolo riffs kick in, it provides a razor sharp melodic edge (“The One Thing Needful” does an excellent job with this) that is simply spine chilling. It’s these types of subtle melodic nuggets that will keep you returning to this album. 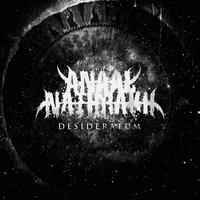 While Anaal Nathrakh have not dramatically changed their game over the past few albums, Desideratum does have an additional level of polish that long-time fans will enjoy. There’s few in metal that can provide such a visceral experience yet somehow interject enough surprising melodic balance to make it all work in the long run. 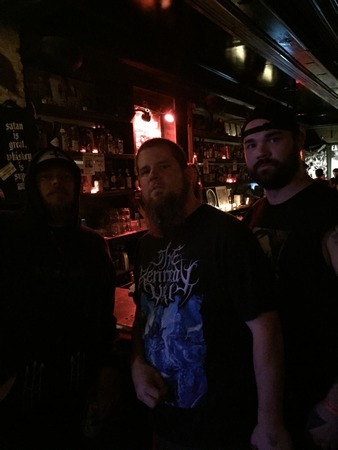 Whether you need feral blast beats and psychotic screaming or melodic riffs and epic clean choruses, you’ll find it here in Desideratum.